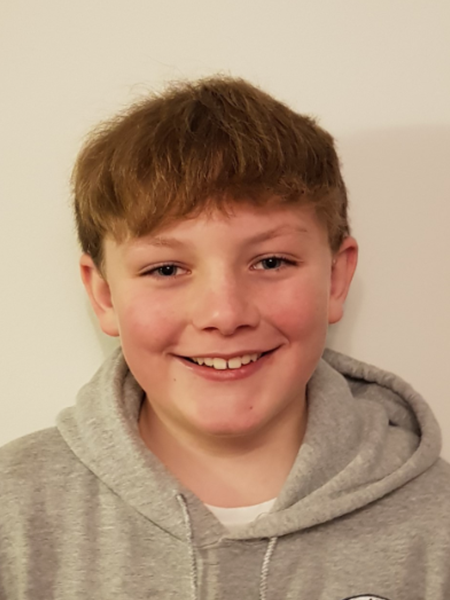 Hello my name is William, I am 11 years old and I live in Mumbles with my Mum, Dad, one older brother and two little sisters, I am currently in year 7 in Bishop Gore Comprehensive School. I like to play on my Xbox and play football, I don't like eating broccoli. I will try my best to listen to everyone and make sure that many issues that exist in Wales are recognized and fixed. Some of the issues that I feel very strongly about are, social and educational barriers for deaf people, pollution and bullying. I think that you should vote for me to be in the Welsh Youth Parliament because I care about barriers for deaf people because I have, as I will a deaf person, experienced some of them personally and believe they need to be changed. I care about pollution because I live in Mumbles which is a coastal village and I have seen first hand the drastic effect that it can have on both marine and inland wildlife. I also care about bullying because it can ruin somebody's life quite easily, not just the person being bullied but also the bully's life too, it is also so serious that it is actually seen as a crime and the police can get involved. I will work my hardest to come up with a solution for these problems.